Mooreeffoc. The act of seeing the ordinary in a new and unexpected light. Imagine, if you will, two ordinary mortals meeting in an ordinary café late one ordinary evening. What isn’t ordinary is that two gods are pulling their strings behind the scenes. Only those gods know why. But who governs the gods? Who dares make puppets of the puppet masters? The truth may surprise you. This contemporary fantasy tale is the first collaboration of Ukraine’s Tetiana Aleksina and Australia’s Tony Single. They are the minds behind the popular prose and poetry blog Unbolt Me. N.B. This book contains obscene language, so it isn’t recommended that you read it to your children at bedtime! * Prices may be slightly different depending on your region’s retail policies. So, what do you think? 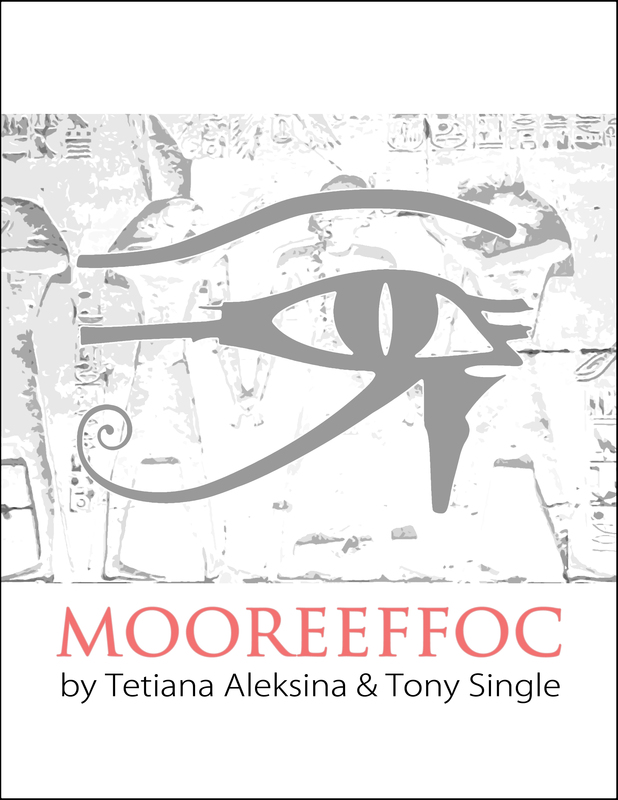 Do you love or hate Mooreeffoc? Let us know! ‘Mooreeffoc’ was a short, but satisfying read. What seems like an innocent meeting at a coffee shop takes on another layer. It was intriguing how two stories over lapped and went on at the same time. It was impressive to take a limited amount of words and make them into a short story that is full and mysterious. I enjoyed it. I never try to give a bad review, but I do not know what I just read. It is a scene from three different perspectives. It is a few pages and while it seemed thoughtful and fast paced, I was left out at the end just wondering what I had digested. I think just a little more content would have been helpful to explain the scenario and why it was important. There was not just enough ‘there’ there to care about any of the characters. What are you going to like? The story is an old one boy meets girl, boy propositions girl, girl accepts but all looked at from the prospective of three Egyptian Gods. Turns that old story into something interesting… each different and yet not! This is a very short read and yet spells it all out in those short pages. This is definitely not a kids bedtime story, graphic yet not!